Starring: Peter Strauss, Molly Ringwald, Ernie Hudson. Plot Synopsis: In 2136, an intergalactic bounty hunter named Wolff (Peter Strauss) answers a distress signal that leads him to the plague-ridden planet of Terra Eleven, where he rescues three shipwrecked women from the evil clutches of a sinister cyborg dictator (Michael Ironside). 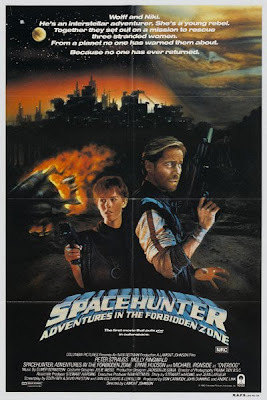 After befriending a young, orphaned girl (Molly Ringwald), Wolff sets off to battle mutants and space monsters in this action-packed galactic adventure.